by Brianna Crandall — February 1, 2019 — Moscow-based international video surveillance and analytics software provider AxxonSoft recently announced version 4.2.1 of the Axxon Next Video Management System (VMS). This version presents new features for video analytics and archive search, an enhanced web interface, and expanded security policy. Privacy settings are now GDPR-compliant, as required in Europe. 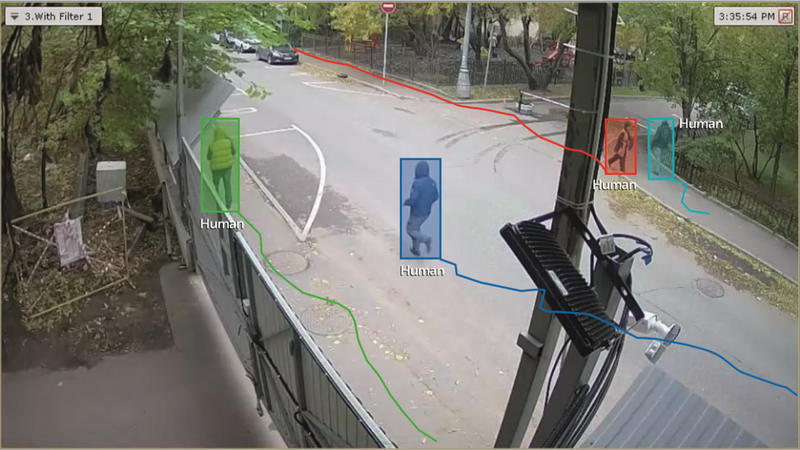 AxxonSoft introduced a neural network filter for Object Tracker that analyzes moving or abandoned objects to filter out false alarms from situation analysis detection tools. The filter precisely recognizes specified types of objects, e.g., humans or vehicles. To guarantee high-quality filtering, the neural network learns to perform customer-specific tasks from on-site recorded videos. You can now simply replace the neural network file for the fire/smoke detection tools with the updated version. The update enables you to request additional network deep learning from AxxonSoft and receive a ready-to-use neural filter file. The company also added a false alarm filter for Facial Recognition. It filters out objects that are most likely incorrectly identified as faces. 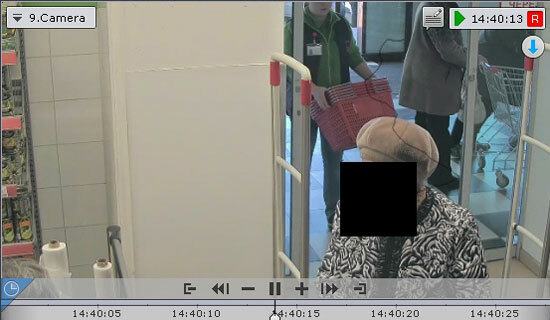 False recognition results will appear on the Events Board but will be ignored during searches in the video footage archive. Facial Recognition now recognizes age and gender. Recognition data can be displayed on the Events Board and saved in the database for further statistical analysis. In addition, AxxonSoft added a Large Number of Objects detection tool which triggers an alarm upon reaching a specified number of objects within a specified area. The update also introduced tracking for the frame around a vehicle license plate. In addition, the company reduced the CPU load needed to recognize excessively large license plates. In addition to Object Tracker, the basic Video Motion Detection tool now generates metadata that can be used for MomentQuest forensic search. Since the VMD requires much less computing power, you can lower the cost of your system by using more cameras per server. Users can now perform facial and vehicle number searches across all cameras within an Axxon domain. To do this, open the Objects Panel and check the box for the required domain. In addition, archives with video footage can now be automatically combined for playback. You might need this if videos from a single camera are stored in multiple archives: e.g., continuous low-quality video recording into Archive 1 and high-quality detection-triggered recording into Archive 2. When playing back a combined archive, the higher quality video will be prioritized; i.e., the output will consist of motion-triggered videos from Archive 2 and other video footage from Archive 1. Right-click copy the starting date and time of a retrieved video clip to the Clipboard. The TimeSlice feature enables a quick search to find the moment of interest by dividing a selected time period of video footage into equally sized fragments. Image courtesy AxxonSoft. Click image to enlarge. Setting the compression rate for exported AVI videos. AxxonSoft also added the capability to view camera statistics. You can read the pixel resolution, FPS, bitrate and compression format for each video stream of each camera. When the bit rate exceeds the expected values of 1 or 2 Mbit/s per megapixel, the stream is marked with special symbols. Users can set a polygonal privacy mask for real-time viewing. The mask will not work while playing back recorded videos. In recorded video, you can now hide any static or moving object from specific user roles. The opaque mask appears as a solid color superimposed on the target objects while you are viewing and searching video footage, and on exported video. To blank out an object, simply set its masking zones: on both the first and last frames of the sequence where the object is present, cover the object with an adjustable oval or rectangular mask. Axxon Next will automatically perform a linear interpolation of the mask’s position across the entire video sequence. For better results, you can add intermediate zones within the sequence. The software then interpolates the mask position between the zones. Users can also hide faces from specific user roles. To do this, the facial recognition tool must be set up for your cameras. Human faces will be concealed while viewing and searching the archive, as well as on exported video. The ability to mask faces and objects is essential for compliance with GDPR (The EU General Data Protection Regulation), points out AxxonSoft. Blocking a user for a specified time after a specified number of failed log-in attempts. Additionally, each user event now includes the user’s internet protocol (IP) address. When accessing the server, the MAC address of the computer is registered in the system event log, and the Export Start event now includes the user name. You can now white-list remote users who can access the server by setting their IP addresses range. You can find the full list of changes in Axxon Next 4.2.1 in the Release Notes. The software installer and documentation are available on the Downloads page.